The wheat rusts are caused by three species of the fungal genus Puccinia: stripe rust by Puccinia striiformis f.sp. tritici; leaf rust by Puccinia triticina; and stem rust by Puccinia graminis f.sp. tritici. 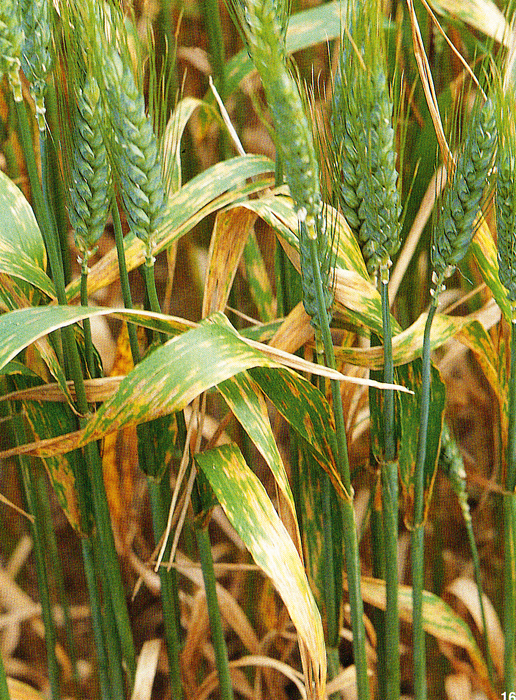 Generally, these pathogens are confined to wheat but can occur to a small extent on other cereals and grasses.Stripe rust established in eastern Australia in 1979,while a second introduction to Western Australia in 2002 had spread to the east by 2003.